The Foundation’s mission is to produce world-class events that attract participants from all around the world and generate revenue for the causes supported by it. 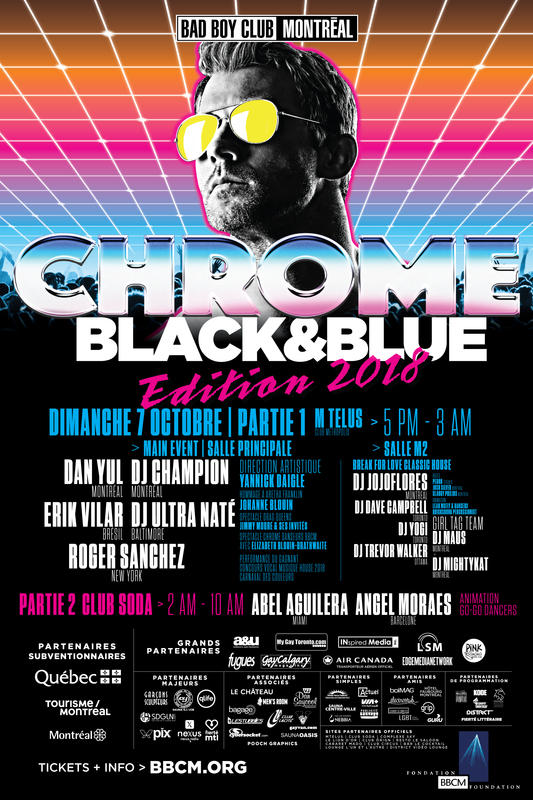 The Black & Blue Festival is a celebration and recognition of the unique lifestyle and culture of the gay community. A celebration that welcomes men and women, gay and heterosexual, without discrimination. Black & Blue is the only event of its kind in the world that also includes many heterosexual participants in its various activities. It is a cause that affects women, men and children, heterosexuals and homosexuals. This cause is AIDS. Since 1991, the BBCM Foundation has contribute in helping organizations by providing direct assistance to people living with HIV / AIDS in Montreal. These organizations provide on a daily basis financial, medical and social assistance to people living with HIV / AIDS. The BBCM Foundation also supports gay and lesbian community groups.